The Real Uganda has been serving a hot lunch to the students and teachers at Nalusse Success Primary School, since 2008. 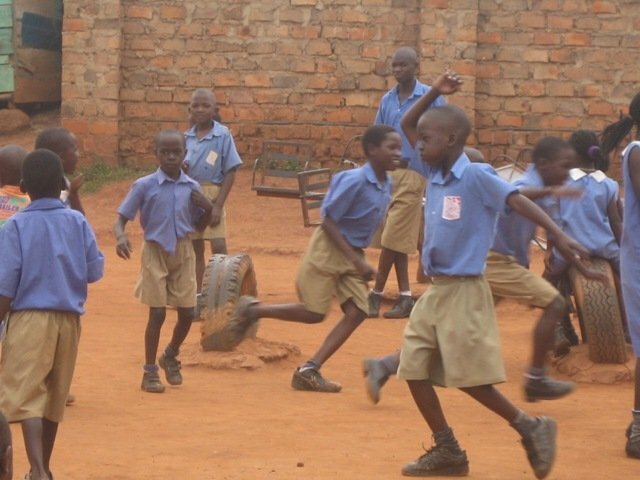 The school is located in a semi-urban slum in Mukono Town, Uganda. It is run by Nansubuga Josephine, a retired educator and former Uganda Ministry of Education employee. She and her staff are dedicated to ensuring all kids get a chance at a proper education, regardless of their background. Nalusse’s students come largely from single parent homes and can often be found selling fruit and other small items in the streets after school. 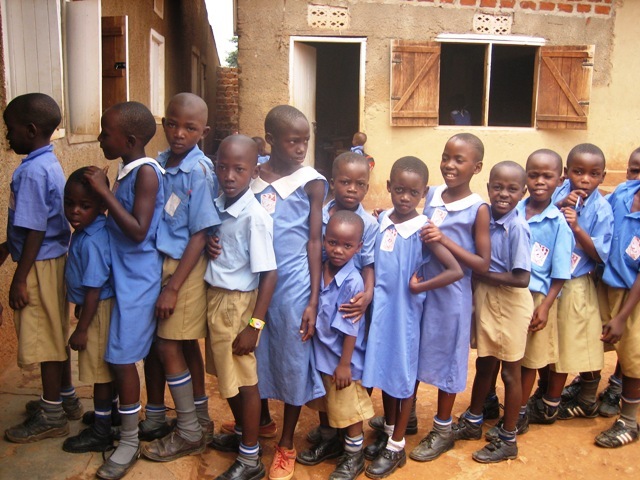 Nalusse’s school fees are kept below market standard to serve local struggling families. Because of the lunch program, all students are served at least one hot meal a day: posho and beans, with a periodic side of cabbage. All of you know how important hot food is to a growing kid. The hot lunch program feeds 120 students and 9 teachers at Nalusse Success Primary School everyday. Before the program, most of these kids came to school without breakfast and ate only a dry bun with sugary juice for lunch. As a result of receiving a free hot lunch, students’ attendance is high. They are also energetic and able to learn well. This program is contributing to their personal development and to the development of Uganda – in the long run. Nalusse Success student performance ranks highly in Mukono Town. Their students consistently receive 1st grades on year-end exams. The annual budget is about $3,900. This includes all food, cooking oil, salt, charcoal and a salary for the cook. Nansubuga supplements from her own garden to give her students a little variety. The kids are served sweet potato or cassava from time to time. 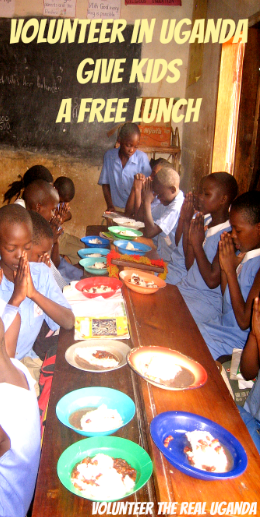 The Real Uganda’s biggest fundraising priority since 2008 has been this hot lunch program. Over the years we’ve collected a million small donations from friends, volunteers, and supporters. We’ve also received donations from a wedding fundraiser and benefited from Kick It for Uganda – twice! Those donations didn’t just feed kids, they also helped us outfit Nalusse Primary with a complete set of textbooks in 2016, and do some much needed renovations in 2017. GoAbroad Foundation, an American registered charity, collects donations on our behalf through PayPal. They do this for free. Your individual donation helps us support this humble school as it educates some really great kids! If funds are tight right now, we understand. Will you instead share this with your network? People are always looking for legit ways to help the world become a better place. 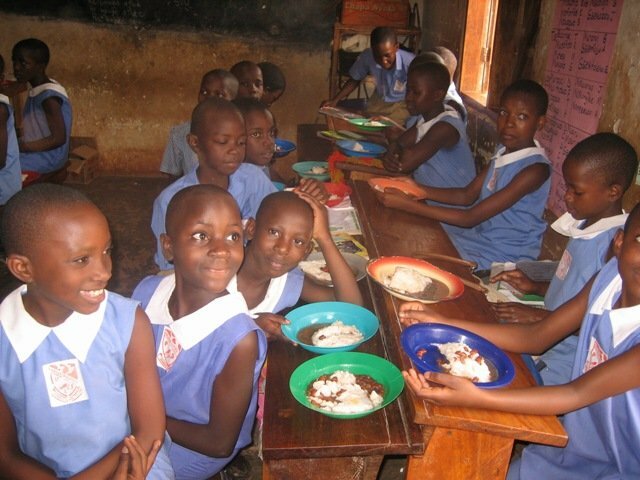 Let’s help them choose The Real Uganda’s hot lunch program!